INSERM Research associate, Institut de Recherche en Cancérologie de Montpellier (IRCM, U1194), Campus Val d’Aurelle, 34298 Montpellier cedex 5 France. Research focus: ATGs proteins acetylation, Role in tumor progression and drug resistance, Mitophagy and aging. Professor at Univ. Paris-Sud, Institute for Integrative Biology of the Cell, I2BC, CNRS UMR9198, Virology Department, Team leader Virulence and latency of Herpesviruses, Gif sur Yvette. Research focus: Autophagy and Herpesviruses. Thématique de recherche: Autophagy and Innate immunity. Host/bacteria interactions. Probiotics. Research focus: Role of autophagy during HIV infection. Avenir-Atip team leader, Institute for Neurosciences of Montpellier (INM), INSERM U1051, Montpellier, France. Research focus: Ubiquitin Proteasome system and autophagy in neurodegenerative diseases. 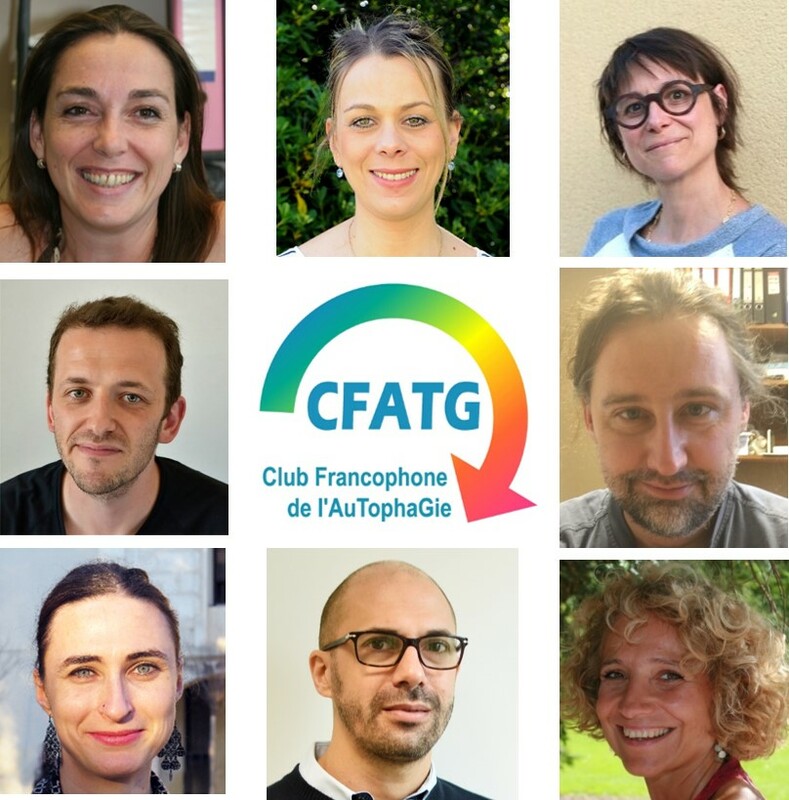 Team: Autophagy: membrane dynamics, stress and cancer”. INEM – Institut Necker Enfants Malades – Cellular biology department. Inserm U1151 – CNRS 8253, Université Paris Descartes, Paris. Research focus: Membrane trafficking and dynamics in the context of autophagy. Research focus: Autophagy and protein quality control, Role in protein aggregation diseases and myopathies. Associate Professor, Team : Lymphocytes homeostasis and autoimmunity. Research focus: Role of autophagy in lymphocytes during inflammation.